Corey Ann Haydu grew up in the Boston area but now lives in Brooklyn, New York, where she drinks mochas and uses a lot of Post-it notes, habits she picked up while earning her MFA at the New School. 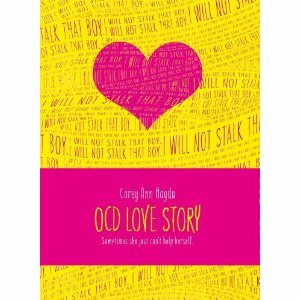 OCD Love Story is her first novel. Find out more at CoreyAnnHaydu.com. This story hits close to home with me. More than I even wanted it to. I also have O.C.D. Obsessive Compulsive Disorder. Although my "things" are much different from the characters in the story I can still sympathize and relate. This is a wonderfully accurate account of what it is like to live with O.C.D. through the eyes of a few people. Not a story to be taken lightly though, and definitely not a subject people will be comfortable reading about, but still I think it needs to be read. More people should step out of their comforts to learn about others, even if in the form of a fictional story. It can still show you a glimpse into that life. This is a deep read that will stay with all who read it for some time.